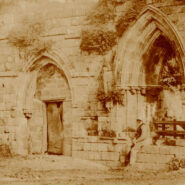 This wonderful photograph of the gatehouse to Croxton Abbey was taken almost 160 years ago – in 1852. Nothing remains of the Abbey today, beyond a few blocks of carved stone balanced on a stone wall. So the image provides a unique and fascinating record of this once powerful religious house. The image above shows just part of the photograph. Click on it to expand it further, and click here to see it in full frame. We think the gatehouse was close to one of the abbey fishponds, on a site now occupied by one of the houses at Croxton Park. We also understand that one of the arches may be still in situ within the house. The photographer was Delamotte; one of the earliest pioneers of the medium who was also art teacher to the royal family. There’s a lot of information about Croxton Abbey and Park on this website. Click here for a selection of links. To follow: illustration of the Abbey and gatehouse. The gate house pictures by Delamotte are of Croxton Abbey Staffordshire. 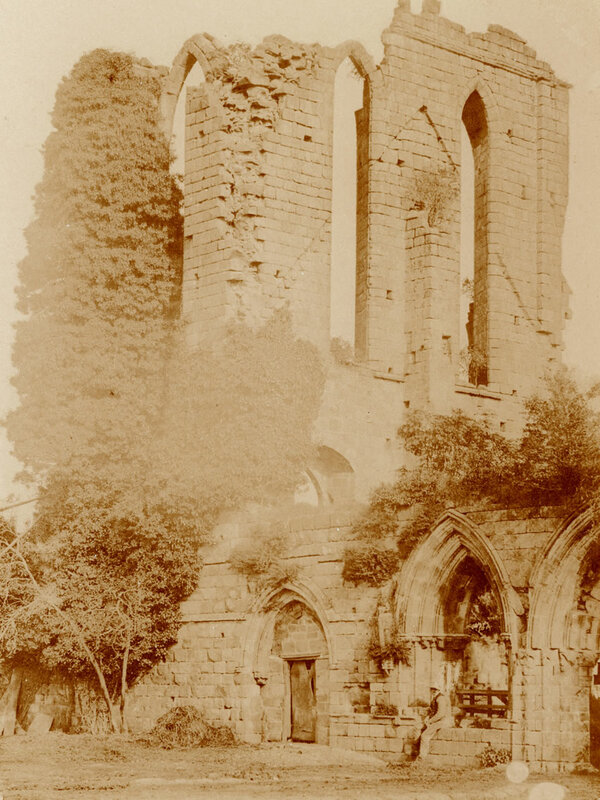 There are engravings of the Stafforshire Abbey which are very similar to the Delamotte photographs. The Swansea museum who hold many of the original photographs have now corrected the error. The website derelictplaces.co.uk have photographs of the inside of Park House. Click here to view them. Several generations of my family lived in the house as the Dukes Balif. Thanks for the comment, Graham. It solves the riddle of what had happened to the gatehouse since the photo was taken in the 1850s. We’d heard that an arch similar to the ones in the photo had been discovered in the house nearest the fishponds. But it now looks like this must have been a bit of wishful thinking! Can you give us any more information on Park House, or your family who once lived there?